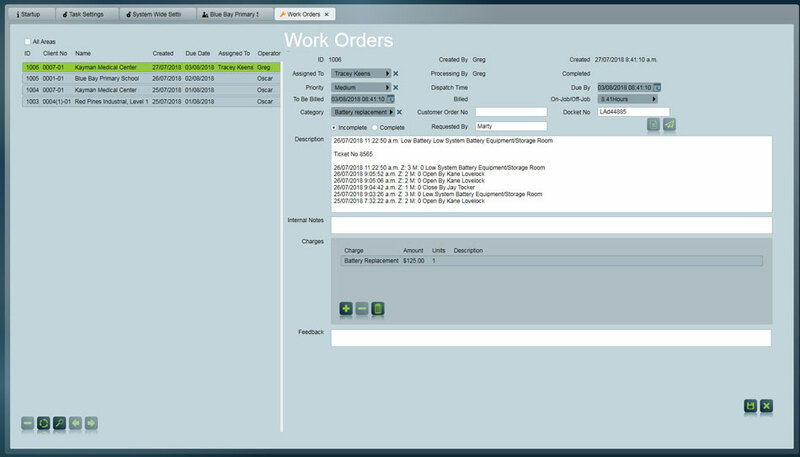 Operators can create work orders from a Clients work orders tab if the customer, Bureau or Technician has called the request in. 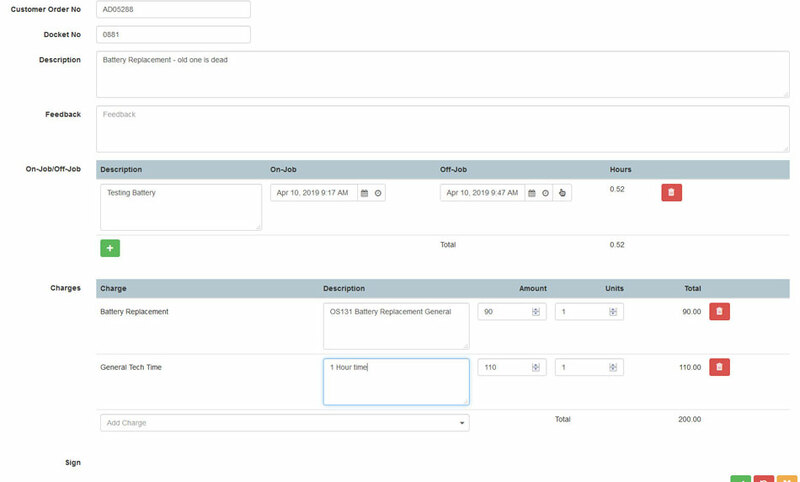 Operators can create work orders directly from the Activation response screen which will quickly copy in the signal and activation details to the work order notes for the Technician. Patriot administrators can configure default priority, processing groups and other options to automate Work Order and Work Order details. Patriot administrators can customise billing charges and add them to the workorder. Automatically send Bureau or technicians preset work order report at scheudled times so they can view their uncompleted jobs. Technicians can access the work orders and other account details from their mobile phone or any web capable device. As well as updating the work order the technicians can add in charges, edit all details, add in on site / off site times and sign off the job. Note that some fields are not able to be edited directly through ICA and additional ICA Logins may be required for editing options. Operators can edit, delete and add in additional work order charges. Operators can search for and filter searches to find current or completed work orders. Operators can setup and configure disptach times and send Work Order via email to the Technician or Bureau.